Painter, a member of the Russia Painters Union. 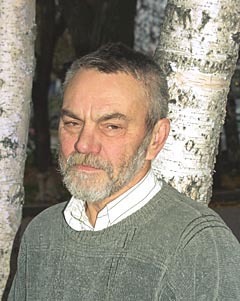 Victor Dobrovolski was born in 1947. Graduated from the Moscow State Academic Art Institute named after V.I. Surikov in 1973. Currently lives and works in Ekaterinburg (Russia). Preferences: easel painting (landscapes and genre paintings). He works in style of realism. Participated in more than 30 exhibitions in Russia and Europe. His works are presented in corporative and private collections in Russia, Europe, USA.